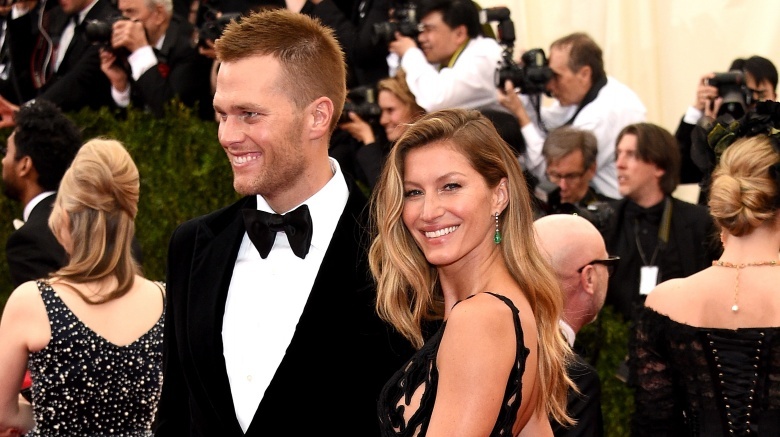 Tom Brady and Gisele Bundchen are pretty much the perfect couple. Incredibly rich. Unfairly attractive. At the top of their game in their respective careers. A house full of cute kids. A successfully blended family. That's pretty much "Tomsele" in a nutshell. But despite all that outward, shiny and happy perfection, there are some dents in the Brady x Bundchen armor. 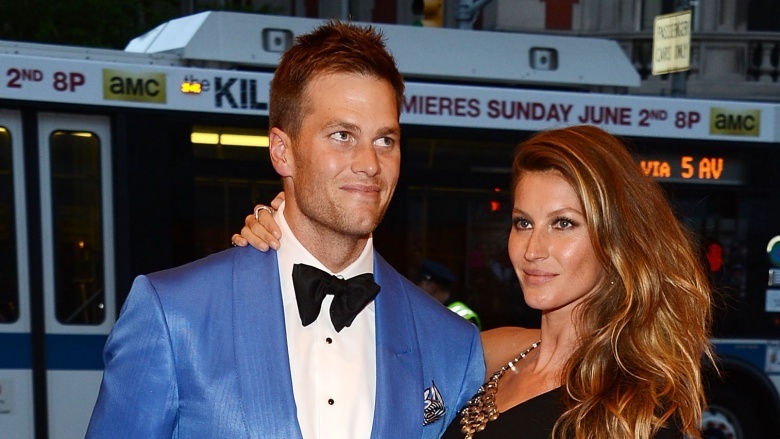 In fact, Brady's All-American image has taken many hits that can be traced backed to his stunning supermodel wife. See! Nothing is as flawless as it may seem. In a recent chat with Boston.com, the pair's personal chef revealed that 80 percent of their diet is vegetables. 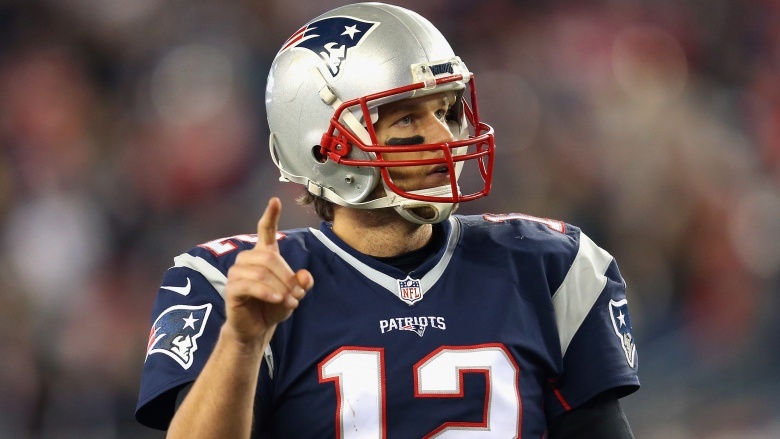 Not only was it TMI, but it left a lot of nutritionists and fans criticizing them and wondering how the heck Brady, a four-time Super Bowl champion athlete, could be so successful with such limited caloric and nutritional intake. Overall, though, their menu made them seem so bougie and sorta wimpy, too. It left us going, "Really, Tom?" While Brady and Bundchen have two children of their own, he has a son, Jack, with former love, actress Bridget Moynahan. Jack is well-integrated into their family. 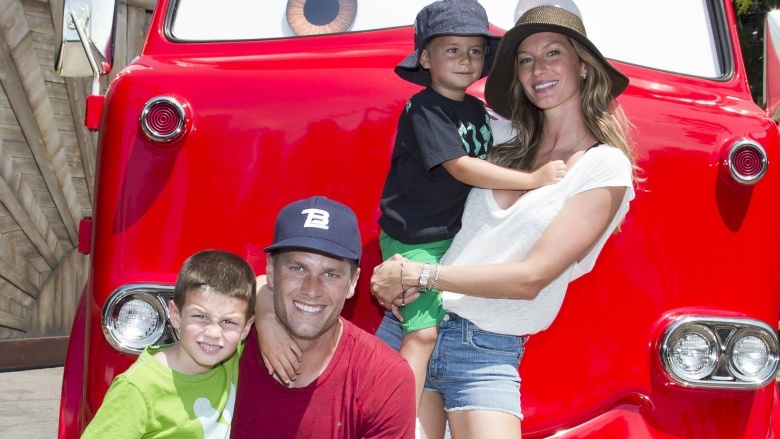 But remember, when Moynahan announced her pregnancy in early 2007, Brady had already moved on with Bundchen. The timeline of Brady and Moynahan splitting and Brady and Bundchen getting together suggests that the model was the "other" woman in Brady and Moynahan's nascent efforts at family-building. Regardless of the circumstances, nothing looks worse than splitting on your pregnant lover. Back in 2009, Bundchen made a comment about her stepson Jack that many construed as wrong and careless since it addressed the boy's relationship with his biological mother. Her sentiment was actually very sweet, but given how Brady and Moynahan split, it came across as insensitive. The Brazilian beauty told Vanity Fair, "I understand that he has a mom, and I respect that, but to me, it's not like because somebody else delivered him, that's not my child. I feel like it is, 100 percent." It was an odd choice of words that made it seem like another way of pushing Moynahan out, and possibly messing up Brady's (likely already strained) relationship with his kid's real mom. 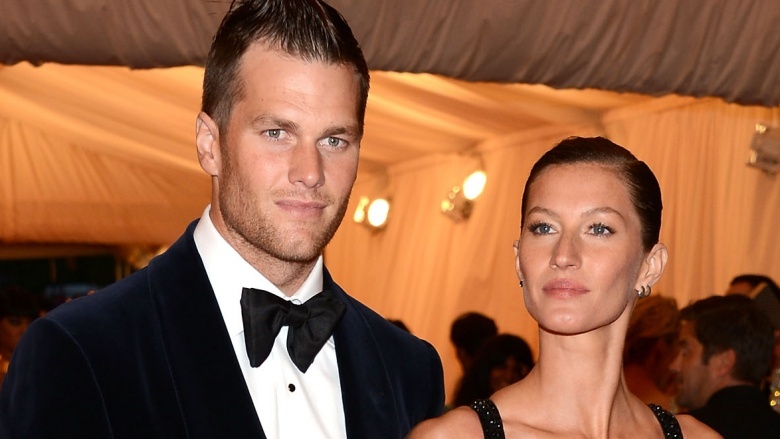 While "Deflategate" didn't ruin Brady's career or his 2016 season, Us Weekly suggested that the professional drama also put a strain on his marriage. Bundchen was reportedly threatening to file for divorce due to his nasty attitude, which was a result of the stress. Brady eventually dismissed the story as rubbish and affirmed that his marriage was strong and stable. But for a minute there, we saw a flicker of Bundchen being the Yoko Ono of the sports world. Brady did not need other headaches as he dealt with a somewhat tarnished legacy and a full football season—not to mention a chance to redeem himself—looming. Brady became that much more unrelatable when he hooked up with Bundchen. He already had a great life, thanks to his charm, his looks, and his talent. But when he squired a supermodel, it was like all those blue-collar Bostonians who are New England Patriots fans could no longer relate to him on a street level. He was still revered as a QB, but he also became a lot more Hollywood. Back in 2012, when Brady's Patriots lost to the New York Giants in the Super Bowl, Bundchen was heard ripping her husband's teammates, according to a video circulated by The Insider. She said, "You [need] to catch the ball when you're supposed to catch the ball. My husband cannot f***ing throw the ball and catch the ball at the same time. I can't believe they dropped the ball so many times." That is a major pro sports no-no right there. Teammates do not throw one another under the bus and they do not violate the bro code by blaming each other. Bundchen doing so made Brady look bad. Really bad. 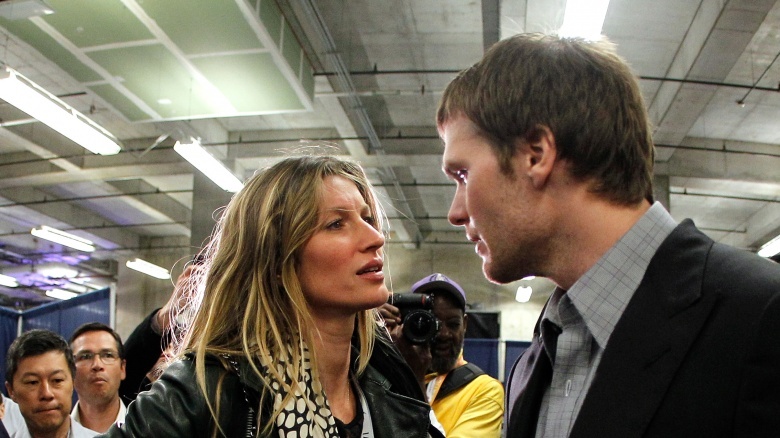 Brady's image also took a hit when Bundchen was seen comforting him after that same Super Bowl loss. Many perceived it as the QB being weak in a highly competitive atmosphere. While a wife consoling a husband after a professional blow is pretty, you know, common, the NFL stage is a bit different and all eyes were on Brady at that moment.